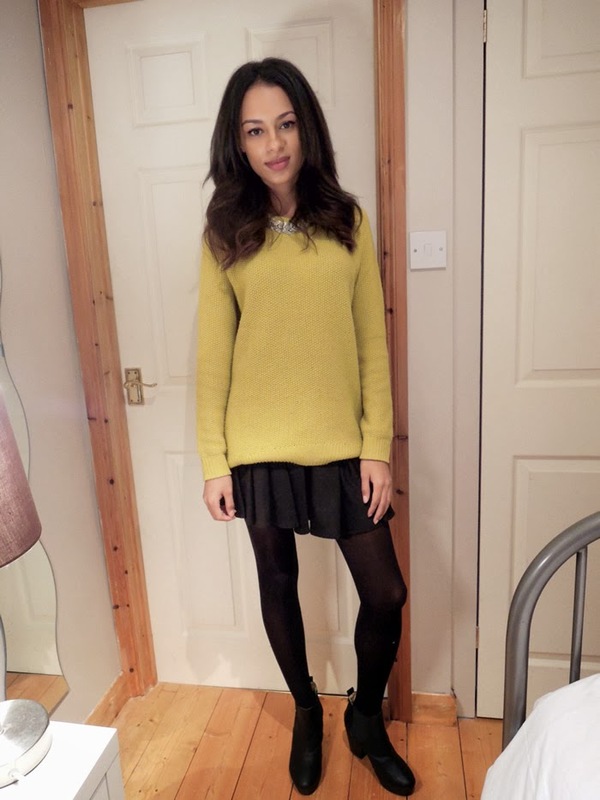 This outfit has pretty much been my staple for the whole of winter: skirt jumper, boots. If I'm not in this I'll most likely be in my pyjamas- no judging please. As I've been on and off job hunting since December I've had the luck of being able to wear whatever I've wanted as I haven't really left the house. Thankfully that will all change next week as I start my internship. I'll be the new social media intern at a wonderful children's website and I am so excited. The company is amazing and I know I am going to learn so much. It's also really cool that most people that work there are in my age-group and the dress-code is casual so I don't need to go out and buy a new wardrobe (although I want to). The internship is unpaid so for the next three months I am going to be extremely poor, therefore look out for some tips and tricks on how to survive an unpaid internship in London! I'm also applying for unpaid legal internships right now ! I know that I need the experience for the future, but I hate the though of being so poor :( Glad you got a job, it sounds like something you will enjoy and can make the most of. congrats on the internship!! so lucky, I have to dress formal to work, no jeans... not even on Fridays!! Aw congrats on your internship! You look gorgeous, loving the boots!